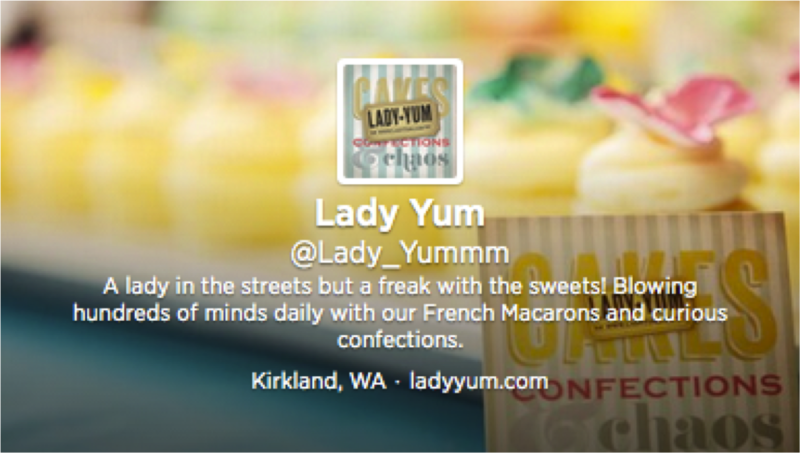 Lady Yum is a bakery that offers fresh, made from scratch French macarons, gourmet gifts, coffee, wine & champagne. Their gluten free confections come in a wide range of colors and flavors including salted caramel, oatmeal cookie, mango habanero, as well savory flavors. In April 2014, Owner Megan Gordon was approaching expanding Lady Yum from operating out of a small, private baking facility to a storefront located in the heart of downtown Kirkland, WA. The Kirkland waterfront area is known for a high turnover rate for small businesses. Because of this, Lady Yum needed a superior marketing plan in order to survive. 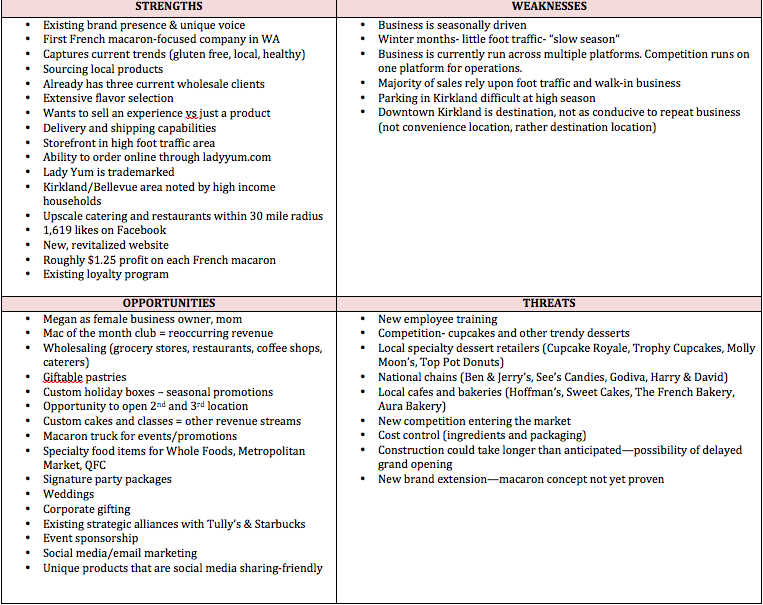 As part of my COM 597 course (Community Engagement: Communication Design for the Networked Age) I worked with Lady Yum to create an integrated marketing plan to identify ways to launch successfully and ensure that the business prospers for years to come. 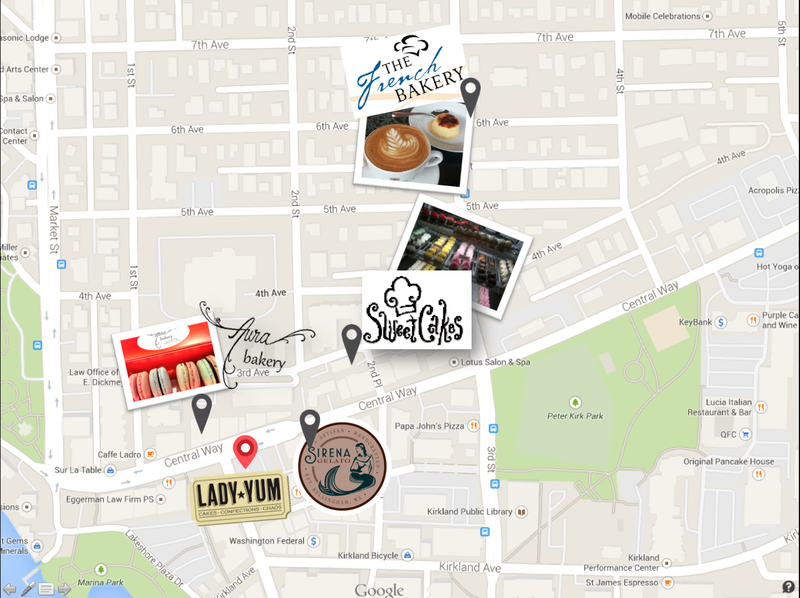 Within the downtown Kirkland area, Lady Yum will have competition from six different shops that sell a variety of food and beverages. The direct competition will come from the bakeries that offer French Macarons, followed by the shops that offer other dessert items such as cupcakes, pastries, ice cream, and cookies. Aura Bakery is one of Lady Yum’s direct competitors. Aura Bakery is located directly across the street from Lady Yum. Their storefront features a glass case of seven different flavors of macarons, priced at $1.75 each. Some of their flavors include hazelnut, salted caramel, pistachio, PB&J, and mango. They also offer espresso, sandwiches, panini, salads, crepes, waffles, desserts and other pastries. Sweet Cakes is another shop that stands out as a competitor to Lady Yum. They offer a variety of cakes and cupcakes, dessert bars, cookies, and cake pops. They also feature gluten free options. Their prices are in the $2-$4 range per item. Sweet Cakes’ shop is a bit hidden, located in an alley. However, for the customers that are aware of and/or loyal to Sweet Cakes—it may remain a staunch competitor for dessert options in Downtown Kirkland. Hoffman’s (not shown) is a fine cake and pastry shop that has been around since 1984, and is located just up the street from Lady Yum in Kirkland Park Place. Their menu offers breakfast, lunch, sandwiches, pastries, cakes, and wedding cakes. They most known for the latter (they were featured on the cover of the 2009 Seattle Metropolitan Bride and Groom magazine). In addition, they provide free parking in the Kirkland Park Place parking lot —an important factor for customers who come to the bakery during high-traffic seasons. The French Bakery is located in downtown Kirkland on a hidden back street. Their menu features Italian espresso, pastries, lunch items, and a four-pack of French Macarons. The French Macarons are not a prominently featured item, but rather seem to be positioned as an add-on item. Sirena Gelato is located across the street from Lady Yum. They are visible from the main street, and because of this seem to receive a large amount of foot traffic. They are positioned as a locally-owned, small business, and prominently feature the quality and locality of their ingredients. They also offer offer sugar-free and dairy-free options. Ben & Jerry’s (not shown) is a well-known, world-wide ice cream company. In Kirkland, they are located along the main street. Ben and Jerry’s carries a large amount of brand equity and as such, presents a significant threat to Lady Yum’s less-established customer base. Conducting a SWOT Analysis provided a full picture of Lady Yum’s business and helped to identify specific opportunities for success in context of threats. From this, I was able to make decisions about the best path for Lady Yum’s marketing plan. Seattle’s Eastside cities provide Lady Yum with a large market of affluent, well-educated customers who have significant disposable incomes. Kirkland, Bellevue and Redmond have a collective population in excess of 250,000 people — more than half of whom have college degrees. The median household income in these areas is more than $85,000 a year, while median home values are about half a million (U.S. Census Bureau Quick Facts, 2012; Zillow, 2014). In addition, many area Puget Sound residents commute to the Eastside for work at companies (which include Google, Microsoft, Boeing and Nintendo). In 2010, 140,000 people spent each day working in Bellevue – a number that surpasses the city’s population of 126,000 (City of Bellevue website, 2012). Google employs more than 600 workers at its Kirkland campus, a number that is expected to grow in the coming years. Microsoft’s Redmond location employs more than 7,500 people, and Boeing employs more than 2,800 workers in Bellevue. The Lady Yum Brand caters to stylish people in need of a high quality dessert, gourmet gift, a glass of champagne, and a memorable experience. Narrowing this scope further, I developed two target buyer personas that are willing to engage with the Lady Yum brand, online and in-person. The Fashionista: Lady Yum’s “Fashionista” is between the ages of 24-33. She loves being a trendsetter, being a little bit different and meeting with her girlfriends to talk about the latest and greatest. While she loves a good deal, she also loves top quality items. When shopping for a dessert, her waistline is definitely in mind so she tends to go for slightly healthier desserts instead of going for the whole pie. Since macarons are trendy, small-portioned, gluten free (and make for a cute photo to post on her Instagram) this Fashionista loves meeting her girlfriends at Lady Yum’s macaron shop for a glass of champagne and a macaron or two. Lady Yum is also a great place for her to pick up a cute birthday card or last minute gift. 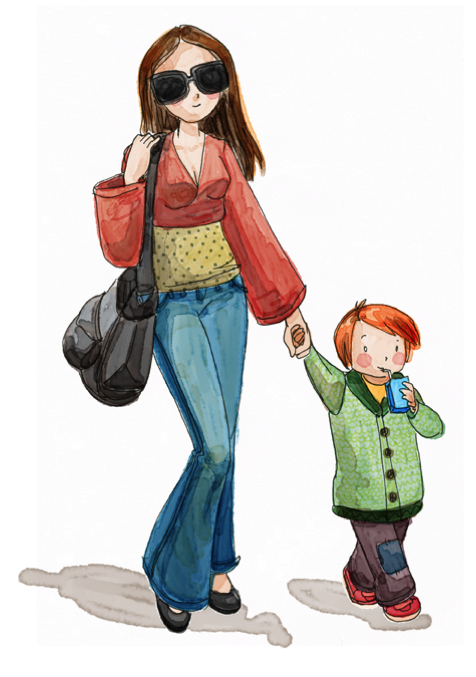 The Eastside Mom: Lady Yum’s “Eastside Mom” is a stay at home mom who is very active in her children’s lives. When she’s not volunteering at her children’s school or accompanying them on playdates, this mom enjoys yoga and other trendy workouts, vacationing, cooking, hosting parties and events and doing activities with her children (including cooking at home). The Eastside Mom is relatively active on social media. She often hosts parties for her children’s birthdays and is always looking for healthier alternatives to cupcakes or traditional cookies. She enjoys supporting her local community and feels good when she buys locally-sourced products. Because of this, the Eastside Mom loves stopping in at Lady Yum, whether it be for a quick snack, picking up supplies for her children’s birthday party, or buying gifts for her Eastside Mom friends. Lady Yum’s business plan stated that they seek to position themselves as the elite French Macaron and gourmet gift company in the Puget Sound area. Their current marketing strategy revolves entirely around their mission to evoke sense of enchantment, curiosity, and occasion for their customers. However, I recommend they take a more meaningful position. Lady Yum’s vision is to provide a family-friendly place where customers can make a delicious and meaningful connection with their friends, family and community. Lady Yum seeks to provide an unforgettably sweet and unique experience by providing fresh, made from scratch French macarons, gourmet gifts, coffee, wine and champagne in a brilliantly comfortable, chic and friendly environment. With this positioning, the Lady Yum experience becomes more than just a macaron shop; it is a place for friends, family and the community to gather and connect. 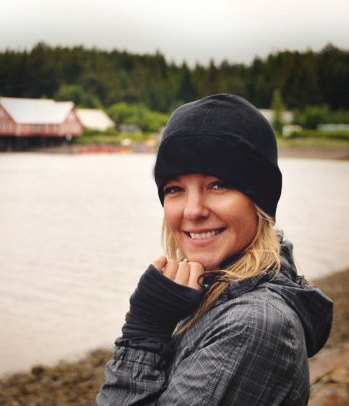 For Megan, the journey to becoming “Lady Yum,” began as a child growing up in Alaska. Now, after leaving a career in investment banking, Megan has fully embraced the persona of Lady Yum – a fiercely passionate banker-turned-baker, mom and small business owner. By leveraging this into the Lady Yum brand, the company will be able to pave the way for a more stronger connection with both Fashionistas and Eastside Moms. Streamlines and standardizes the ordering process (no flurry of emails, phone calls, and extra personnel are required to coordinate orders). Customers have the ability to place orders at any time, regardless of Lady Yum’s business hours. They also would have the ability to track the status of their orders and create a profile of their preferences. By tracking preferences and purchases, Lady Yum can use this data to tailor their communications and trigger email campaigns around approaching birthdays, holidays and special occasions. There are many services that offer local shipping. One of which is Ahab Shipping, a Seattle-based delivery service for small, local and craft products. Lady Yum would transport products to Ahab’s distribution center, and then Ahab would deliver those products to customers. This would reduce the need for Lady Yum to take on delivery services. In addition to delivery and shipping, Megan plans to purchase a macaron truck, cart, or trailer that will be loaded with French macarons. This is a great idea because it provides an opportunity for additional revenue, via being rented for private events, or used for promotions. In-Store Retail: The Lady Yum store will be open seven days a week and will feature ten classic macarons daily as well as a mac of the month and other seasonal, specialty gift items. Macarons will be purchased individually, in 5 & 10 packs, as a platter, tower, or in other artistic formats. Lady Yum charges $1.85 per macaron, with each macaron costing about $.60 to produce, including packaging and labor. Macarons should be able to be purchased individually, in five-packs, ten-packs, 15 packs, 20 packs, 25 packs, towers, or as a Mac of the Month club membership (details below). Promotion should be initially focused around building public awareness, and then through advertising once the company begins to increase cash flow to an acceptable figure. Loyalty Program: Lady Yum has chosen socialpassport.net to build and maintain their loyalty program. I also recommend that Lady Yum look into subscription-based models to create reoccurring revenue opportunities – an example being a “Mac of the Month Club” – a monthly subscription program. Local Sponsorships: Lady Yum should definitely sponsor local events but it is important that they are highly selective in which events they choose. The events should uphold their values and be relevant to their target market. Causetown Promotions: Research shows that 83% of customers want to buy products that benefit a cause. Through using Causetown, Lady Yum can attract customers through simple promotions that give a portion of purchases to each customer’s charity of choice. 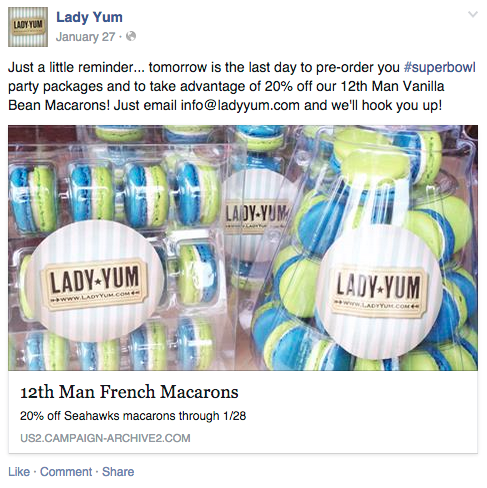 Social Media, Web and Email Marketing: These avenues are critical to Lady Yum’s success. Lady Yum should create and execute a multi-platform content strategy around the topics of family, parenthood, community, shopping local, party planning, gift giving along with women’s empowerment and entrepreneurship. In each of these, Megan should be sure to incorporate her own (hilarious) voice into the Lady Yum social brand. It is critical to differentiating her product among others. Lady Yum’s editorial and promotional calendar should be theme-based and timely. She should focus on events that are unique to the Seattle-area, with special focus on the Eastside. Additionally, given that both of Lady Yum’s target personas are active online and driven by social interaction, Lady Yum should focus on creating avenues for engagement online as a means of extending the Lady Yum experience. Events and Partnerships: In addition to previously suggested events, Lady Yum should hold in-store events targeted toward both Fashionistas and Eastside Moms. These should be integrated with the editorial theme schedule but could include wine tastings, olive oil samplings, happy hours, cooking classes, birthday parties, networking events, “mom’s night out” and more. 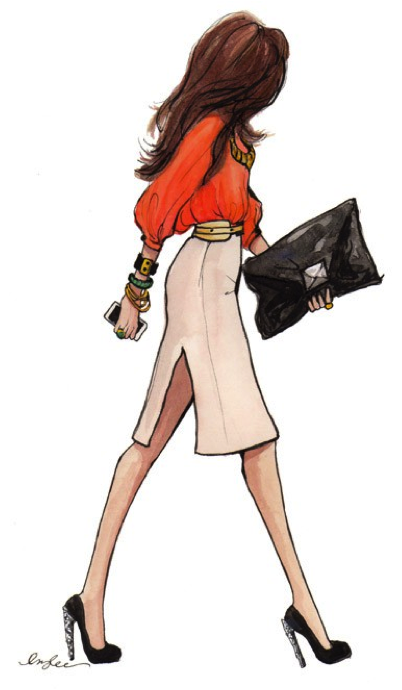 Given Kirkland’s growing population of young professionals, Lady Yum could also offer Midnight Munchies promotions for the post-post-happy hour and evening crowds in Kirkland—a time when they are conveniently likely to find many of their Fashionistas out and about. Finally, the Kirkland small business community also provides a wealth of partnership opportunities. By forming alliances with neighboring businesses, Lady Yum will be able to extend their network and combat the previously cannibalistic nature of operating a small business in downtown Kirkland.